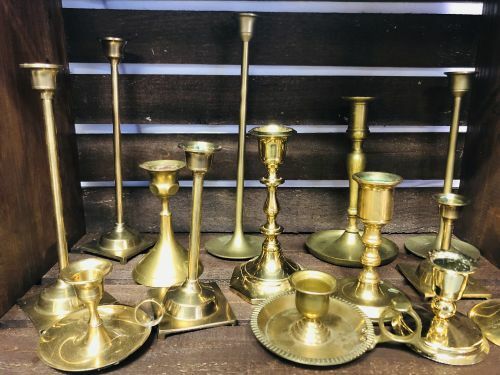 Our collection of Gold and Brass candlesticks is constantly growing! 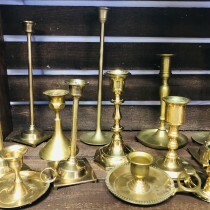 We search for vintage candlesticks and love when we run across them at antique shops, thrift stores and garage sales! We currently have over 50 available!